We are about 10 days away from making our next trip to Walt Disney World! Preparations are going slow, but progress is being made a little at a time. Our MagicBands are here! All our Fastpass+ selections have been made! And, half of us are packed! This is the tough time of all waiting for the final day to get here before we can get to my happy place! I am excited to try out the MyMagic+ system, but a little apprehensive at the same time! There have been a lot of changes and bug fixes, but since it was just recently announced that the total roll-out is being delayed, I really wonder how ready is this system for a full out assault? 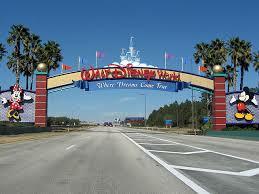 We will be driving to WDW and will need about 17 hours to make the drive. We are building 20 hours in to allow for pit stops. I am excited to see The Art Of Animation Resort! And, yes there will be pictures, and maybe a video of our arrival. Keep an eye on this blog to follow along. I am hoping that my birthday, Dec 5, will be special as we enjoy the Magic Kingdom and dinner at ‘Ohana! It was also my dad’s birthday, so I will be carrying a picture of him with me. And, of course, most of you should know that Walt Disney was also born on December 5! I hope you’ll all join us through this virtual porthole! Have a blessed and magical day, my friends! Previous Previous post: Restaurant Reviews To Help Choose! Next Next post: Who’s The Most Beautiful Princess?